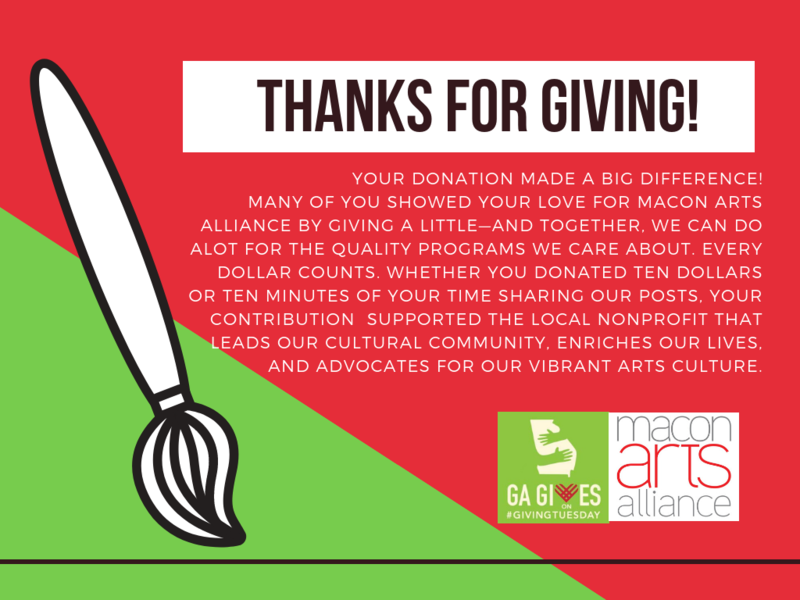 When you invest in the Macon Arts Alliance, you are supporting the entire arts and culture community in Central Georgia. You are helping foster excellence, build audiences, strengthen education, fuel tourism, and promote our region as an arts and cultural destination. Click here to join by mail! Part of a non-profit arts organization? Please consider joining the Arts Roundtable.